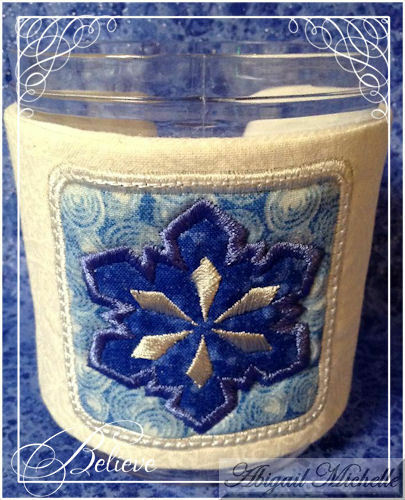 The perfect set for making gifts, craft show items, stocking stuffers or to decorate your own home! These projects coordinate with each other to make a complete set of beautiful gifts. Are you the Secret Santa this year? We've got you covered! 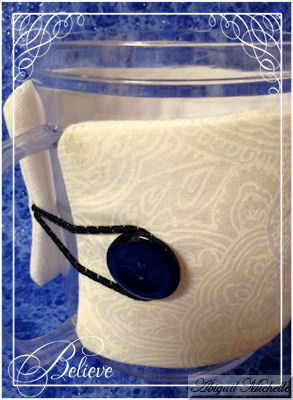 Includes tutorial for drawstring bag, shown. 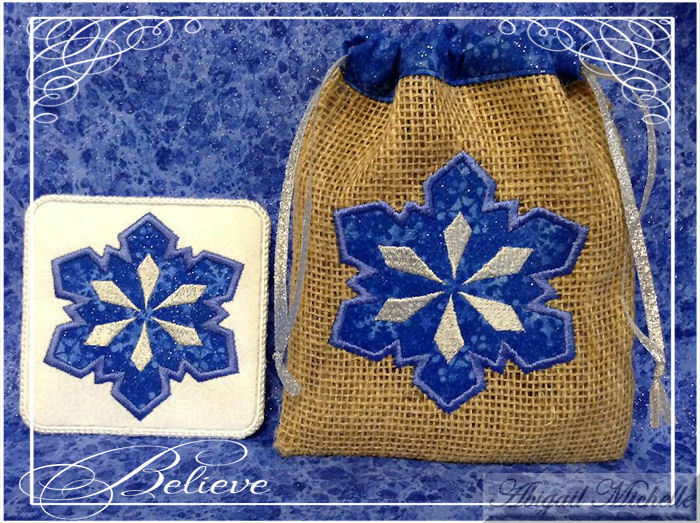 Set includes Coffee Cozy, Coaster, Snowflake Applique, Snowflake Square Applique and the bonus sewing tutorial for the Drawstring Bag. Earn 9 points at checkout OR buy this item for 168 points. 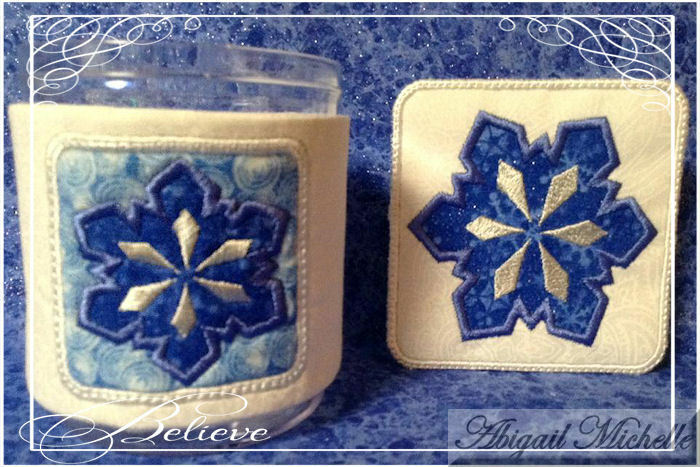 The perfect set for making gifts, craft show items, stocking stuffers or to decorate your own home! These projects coordinate with each other to make a complete set of beautiful gifts. Are you the Secret Santa this year? We've got you covered! 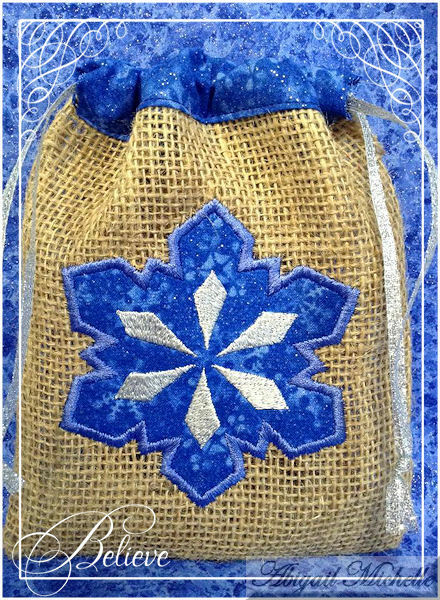 Includes tutorial for drawstring bag, shown. 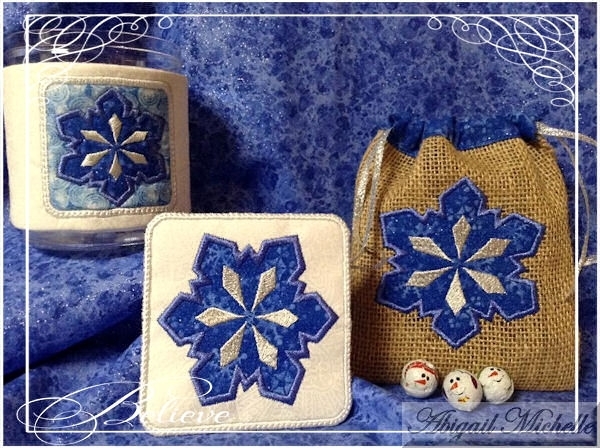 Set includes Coffee Cozy, Coaster, Snowflake Applique, Snowflake Square Applique and the bonus sewing tutorial for the Drawstring Bag. Christmas Tags Set - 5 Designs! 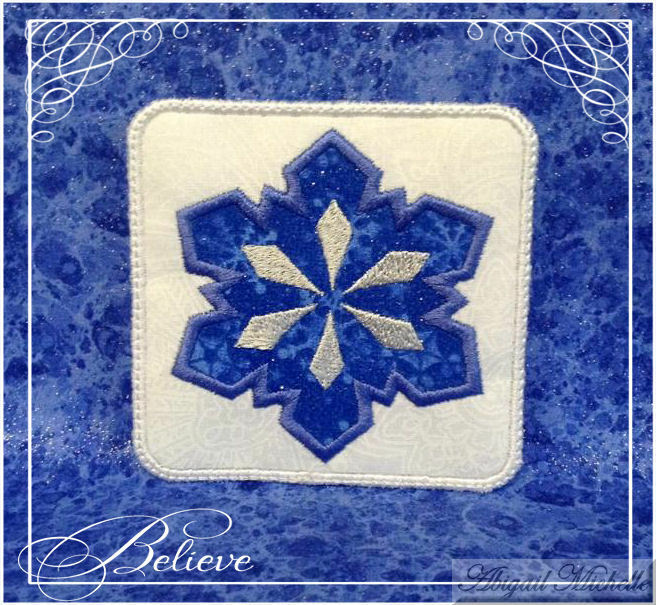 Finish Size: Snowflake Block Applique 2.99" x 2.92"
Finish Size: Snowflake Block Applique 3.92" x 3.81"
Finish Size: Snowflake Applique 2.70" x 2.87"
Finish Size: Snowflake Applique 3.63" x 3.86"
Finish Size: Coaster 3.92" x 3.81"
Finish Size: Snowflake Block Applique 5.02" x 4.89"
Finish Size: Coffee Cozy 10.02" x 3.02"
Drawstring Bag Tutorial by Penny W.